I went to to EdCamp New Jersey at the end of November where I heard Chris Aviles suggest teachers should make video recaps. He argued that in a 1:1 classroom, video lesson recaps are a powerful tool to fight learned helplessness. A student doesn’t know the answer to a question? Have them watch the video recap. Chris also made the point that video recaps give students multiple opportunities to learn and help absent students catch up. After you create your account (I used my school Google e-mail), SnagIt creates a folder in your Google Drive. It is called “TechSmith” after the company that makes SnagIt. When you record using SnagIt, the app will capture your screen and the Chromebook’s microphone. I use the Chromebook camera so students can see my face rather than listen to a disembodied voice. When you stop a recording, it will appear as ” unfinished video” in the TechSmith folder. 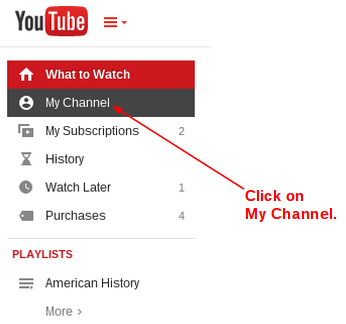 You can rename your video in the SnagIt video player and push it directly to your GAFE connected YouTube account. When SnagIt is finished processing you can access the video file in the TechSmith Google Drive folder. Then simply click on upload and you’re good to go. Pixiclip is another tool with great potential for video recaps. As I explained in the video above, I stopped using Pixiclip because when my students play it back on their Chromebooks they cannot rewind and fast forward. 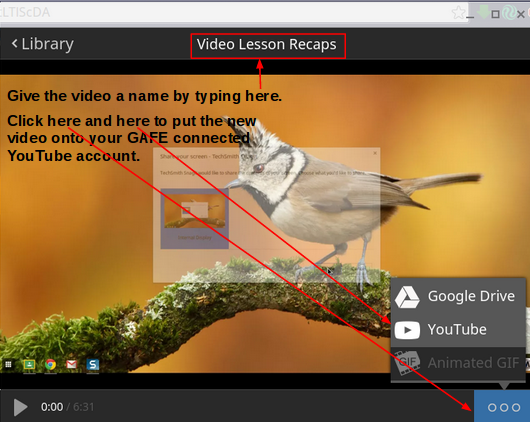 Video lesson recaps are one way educational technology transforms educational practice. I am only one month into using them and am thrilled with the opportunities they create for my students! Good tutorial, but Snagit will only record one window; either the screen or the camera, not both. How do we get both to show up on the recording? Jane, are you using a Chromebook? I have used a PC with SnagIt but I highly prefer the Chromebook experience. On the Chromebook, Snagit asks me if I want to record Internal Display, Camera or my web browser when I start a recording. I choose Internal Display and that gets my whole screen. I can e-mail you a screen capture of that if you like. Please keep me posted about your success/struggles with SnagIt! Yes, I’m using a Chromebook. I open the page in Chrome that I want to display, then I open the camera and put it in a corner of the screen, just like you did. I start recording the Internal Display, but if I click anything on the Chrome page the camera goes into the background and no longer shows. I wonder if there is a way to lock the camera view into the foreground? The only thing I can think of is making sure the windows are sized so they don’t overlap. Could we schedule a Google Hangout where you share your screen with me as you attempt to record a video? So happy to hear it worked! Enjoy SnagIt! Thanks for sharing! I have a problem that I can’t figure out how to solve. I am a teacher who created a new google site for our spelling quizzes. I created a google form, embedded that on a page and created a screencast so students could listen to the words being spoken out loud and then embedded the link for this screencast on the same page so that students would not need to toggle. problems came up when some of our chromebooks would not play the video on the new google sites page and instead required them to download it and it opened on a separate window. any ideas? No ideas come to mind immediately. One question: what were the sharing settings for the video in Google Drive?